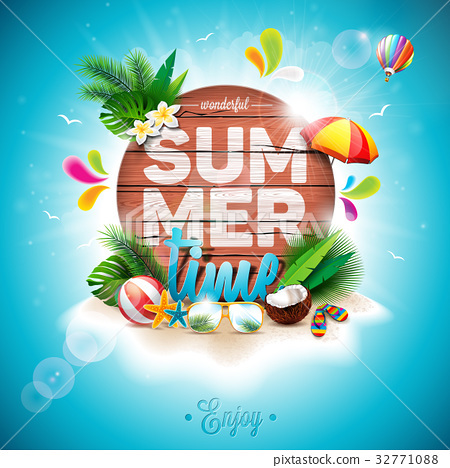 Vector Summer Time Holiday typographic illustration on vintage wood background. Tropical plants, flower, beach ball and sunshade. Eps 10 design.